This morning on the Cetacea, we headed out in the fog and rain in search of whales. We started our search at the Northwest corner and then travelled down the western edge of the bank until we spotted some activity! There were quite a few whales in the area today. At first, it seemed like we had happened upon a hot spot, but slowly the activity started to spread out as the fog rolled in. We were able to identify Blackbird, who was kickfeeding alone off our starboard side. 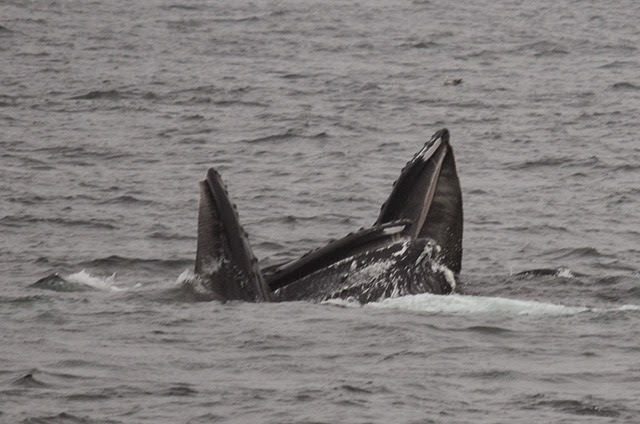 We also saw a whale named Terrace, a new sighting for this season! 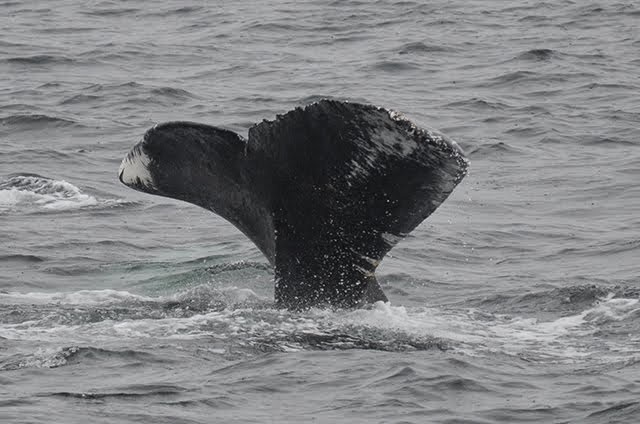 Terrace has very distinct flukes because the left fluke is pretty mangled, possibly because of an entanglement. The right fluke is distinct as well, and has a few rakemarks (bite marks from an orca) in the upper corner. 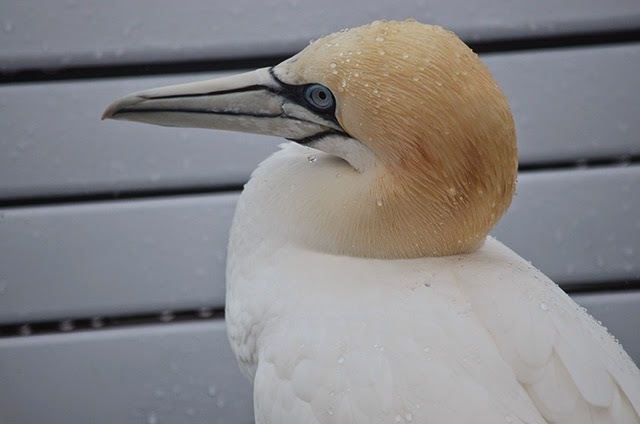 There were plenty of birds out on the bank today, including a very peculiar northern gannet who hitched a ride with us back to Boston! A similar occurrence happened last season except with a brown booby who seemed a little lost. 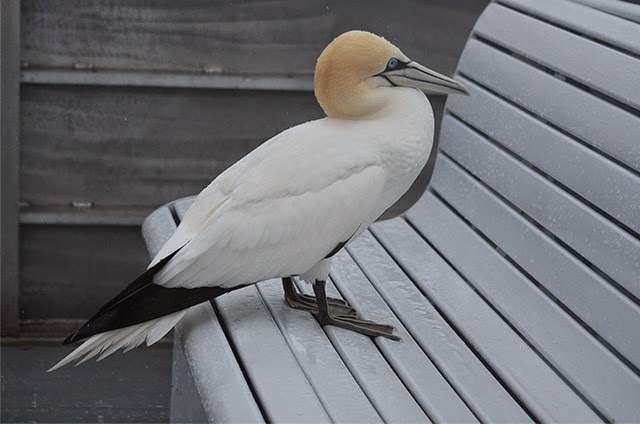 Our gannet seemed pretty content though, and calmly sat on the bench on the second deck while we whale watched and all the way back to the harbor! Animal control said that the bird should be fine! Hopefully we will see some clearer skies soon!